We have seen huge changes in the sales & marketing process over the years. It started with relationship selling, then moved on to solution selling. Following this was process selling, but the internet changed all that. Now the buyer is in control, they rarely have time for relationships, already know our product, services and costs, so don't need us to give them a solution. The world is changing and so is the way we do business. We need to keep pace with disruptive change and how to adapt to the new and exciting opportunities available by implementing practical strategies. This keynote will explore the challenges and opportunities facing businesses right now. This a totally practical session and delegates will leave with many ideas that they can apply to their business immediately. 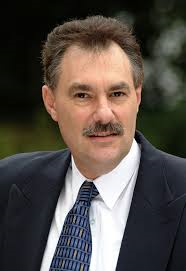 Frank Furness, CSP, is an internationally sought after motivational speaker. His lively, enthusiastic and humorous style has inspired audiences all around the world. He is a specialist in sales, technology, social media and goal setting and how they work in tandem to produce great results for organizations. He currently spends seventy percent of his time speaking internationally, working in sixty-two countries. He has presented at Entrepreneurs University, Harvard Alumni, Kenan-Flager Business School and his clients include the British Olympic Team, The Professional Cricketers Association, Sporting Champions and Sport England.